One of the best things about the Bay Area is our weather. While most of our projects are designed for both indoor and outdoor living, this project really shows off the concept. 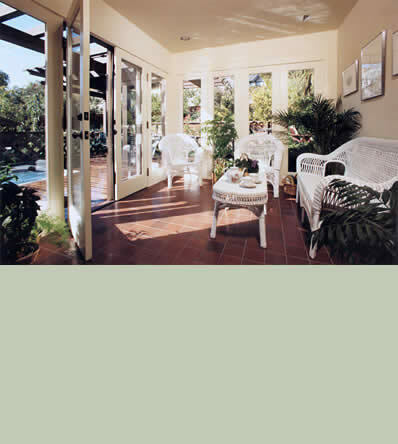 The sunroom is created with a series of glass doors, which all open onto a deck with a trellis and spa. The railing at the trellis is quite low to preserve the feeling of connection with the rest of the garden.